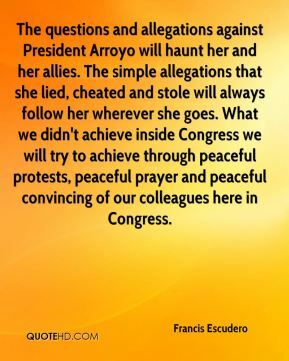 The questions and allegations against President Arroyo will haunt her and her allies. The simple allegations that she lied, cheated and stole will always follow her wherever she goes. What we didn't achieve inside Congress we will try to achieve through peaceful protests, peaceful prayer and peaceful convincing of our colleagues here in Congress. We've won. 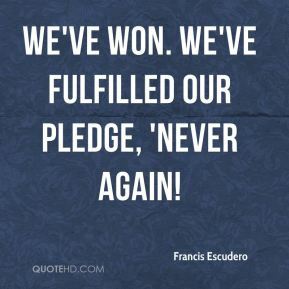 We've fulfilled our pledge, 'Never Again! 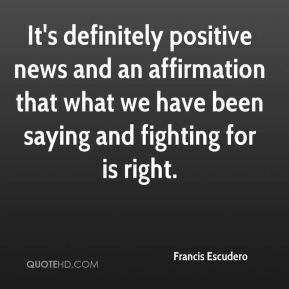 It's definitely positive news and an affirmation that what we have been saying and fighting for is right. We're hopeful but not confident. 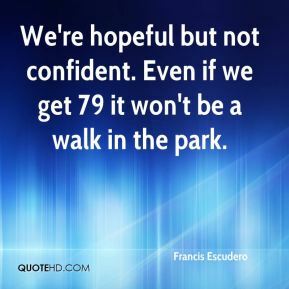 Even if we get 79 it won't be a walk in the park. That is too much. 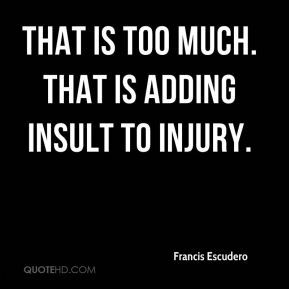 That is adding insult to injury. 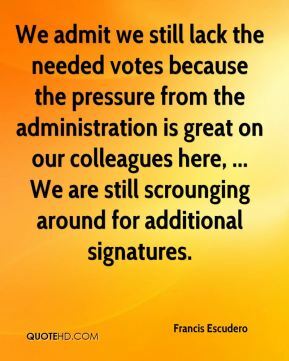 We admit we still lack the needed votes because the pressure from the administration is great on our colleagues here, ... We are still scrounging around for additional signatures. 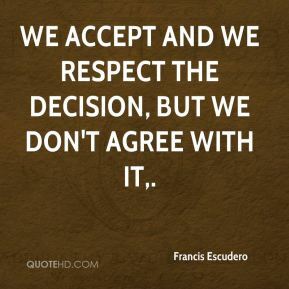 We accept and we respect the decision, but we don't agree with it. Ayokong pangunahan hanggat hindi ko naririnig ang kanilang pahayag. 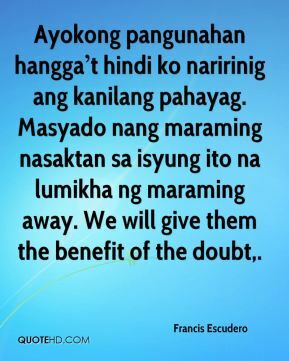 Masyado nang maraming nasaktan sa isyung ito na lumikha ng maraming away. We will give them the benefit of the doubt. We respect and honor the decision. 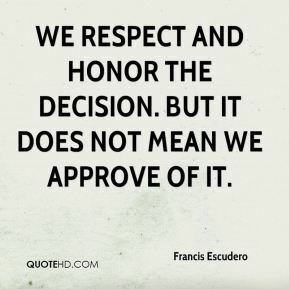 But it does not mean we approve of it. 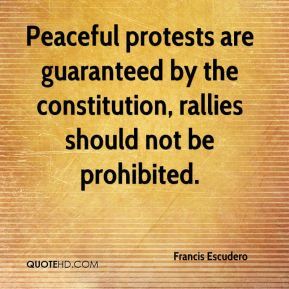 Peaceful protests are guaranteed by the constitution, rallies should not be prohibited. 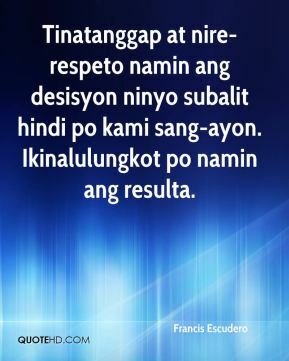 Tinatanggap at nire-respeto namin ang desisyon ninyo subalit hindi po kami sang-ayon. Ikinalulungkot po namin ang resulta. I'm going to meet them before this Friday. 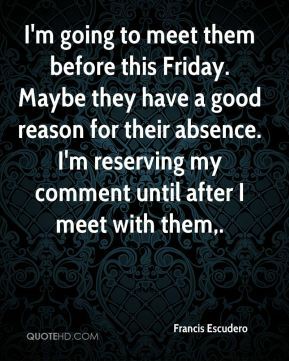 Maybe they have a good reason for their absence. I'm reserving my comment until after I meet with them. 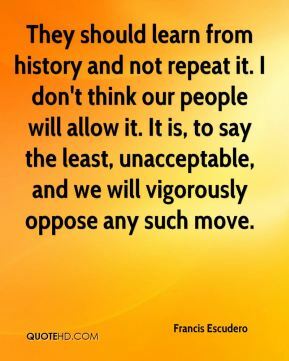 They should learn from history and not repeat it. I don't think our people will allow it. It is, to say the least, unacceptable, and we will vigorously oppose any such move. 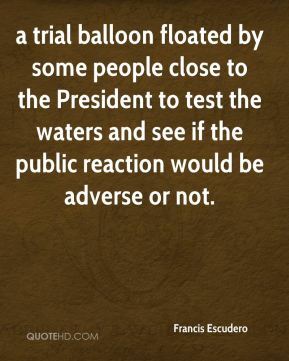 a trial balloon floated by some people close to the President to test the waters and see if the public reaction would be adverse or not. 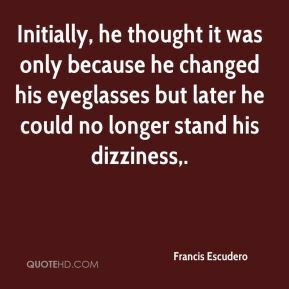 Initially, he thought it was only because he changed his eyeglasses but later he could no longer stand his dizziness. 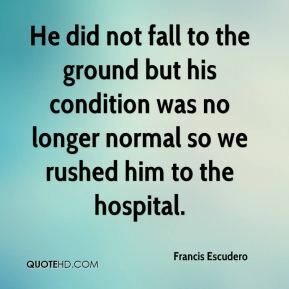 He did not fall to the ground but his condition was no longer normal so we rushed him to the hospital. 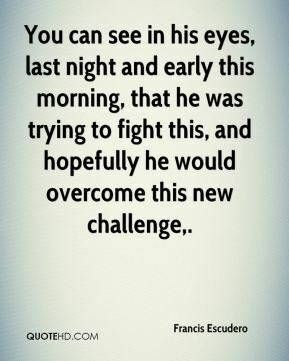 You can see in his eyes, last night and early this morning, that he was trying to fight this, and hopefully he would overcome this new challenge. 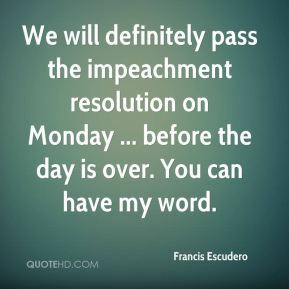 We will definitely pass the impeachment resolution on Monday ... before the day is over. You can have my word. 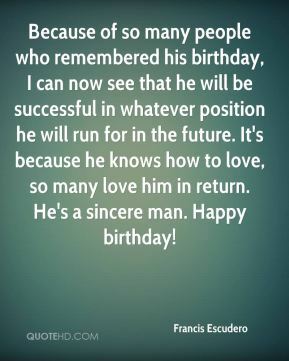 Because of so many people who remembered his birthday, I can now see that he will be successful in whatever position he will run for in the future. It's because he knows how to love, so many love him in return. He's a sincere man. Happy birthday! Remember, it is the violation of the law, of the letter of the Con-stitution, which precipitated all ofthese. 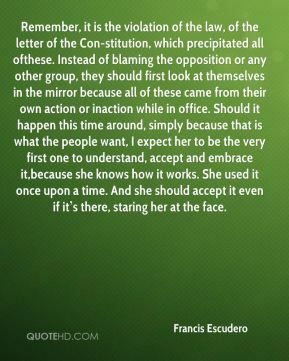 Instead of blaming the opposition or any other group, they should first look at themselves in the mirror because all of these came from their own action or inaction while in office. Should it happen this time around, simply because that is what the people want, I expect her to be the very first one to understand, accept and embrace it,because she knows how it works. She used it once upon a time. And she should accept it even if its there, staring her at the face.